The education system has undergone quite some changes the past hunderd years. The focus however, still lies on standardized testing and acquiring knowledge on regular subjects such as maths and biology. It is becoming more and more apparant that this knowledge alone isn’t enough to prepare kids for the outside world and it’s important to teach them other tools to get by in life. When people are asked what they want to become, a lot of people will answer with some sort of profession. But the older people get, the more they answer that they want to become happy. How great would it be if we could teach this to kids at a young age? 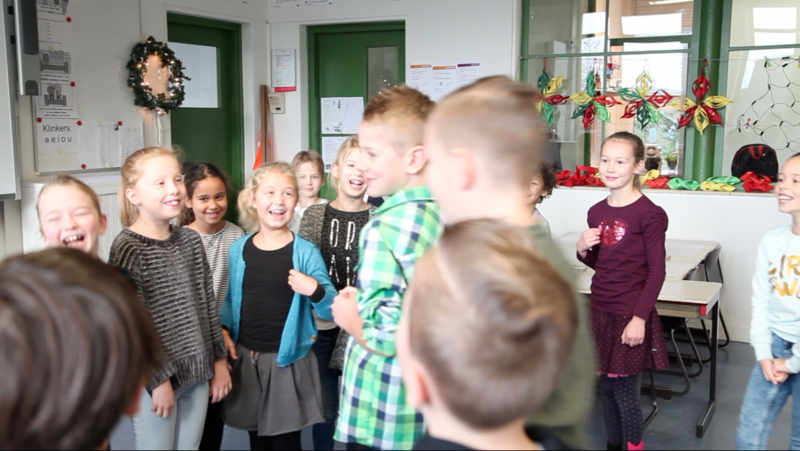 In the video below, Merijn Ruis teaches Happiness to middle school kids using his self-invented method. Merijn want to make the world a happy and loving place. After college he noticed he can accomplish a lot more when he follows his own motivation instead of doing what others have lined out for him. Hij started to read about positive psychology, self-development and happiness and started meditating. In his spare time he created music and started creating and teaching happiness lessons for kids. These happiness lessons consist of different exercises that each contribute to the goal to teach kids tools to be happy. The workshop lasts about three hours, but can be customized by choosing to leave out certain exercises. There’s many different types of exercises and many of them involve movement which keeps it fun and energetic. De exercises vary between five and fifteen minutes and the workshop starts with an exercise to get to know the other kids and the instructor. The lessons deal witha variety of aspects that have to do with happiness. Kids are asked what happiness is to them which teaches them to be aware of their own happiness. In another exercise they have to gossip about a classmate in a positive way with the goal that they hear from others what their qualities are and how nice it feels be to be nice to someone else. Through a variety of exercises, kids are encouraged to love themselves and believe in themselves, an important basis for happiness. They are taught to be grateful for what they have and think about what other people (don’t) have. 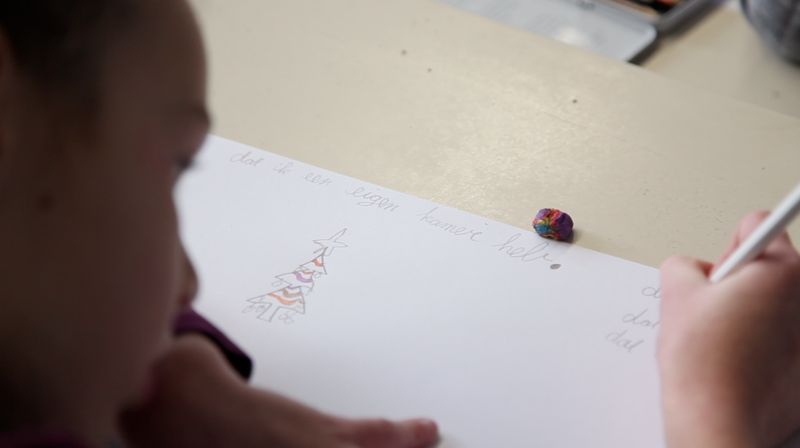 During the lessons, kids are also taught that there’s many different ways of looking at the world and that this can affect their own happiness. They experience the power ofmeditation, calmness and breathing right and they get insight in why it feels so good to give something and do something for someone else. These lessons are aimed at middle school kids, but the programme can easily be adapted for other groups such as high school kids, offices and nursing homes. Merijn has put the programme online so that everyone can start teaching the programme. He hopes that his website will become a platform where teachers can share their experiences and expertise in order to add on to the happiness lessons. He believes teachers have the most important job in the world in that they teach the future. When all kids would be taught how to be happy, you teach beautiful values to an entire generation that will make the world a happier place.